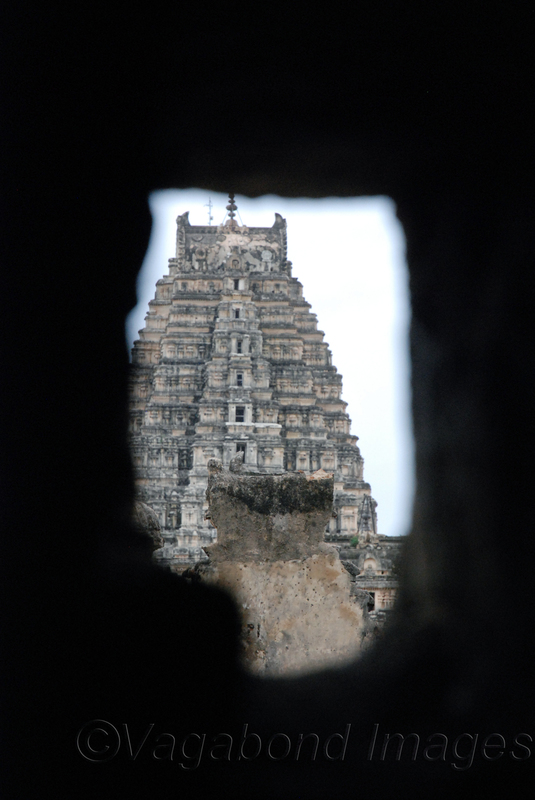 First gopuram of the Virupaksha temple in Hampi as seen through a hole in the wall inside the temple. This hole with a pin hole camera technique transmits an inverted image of the gopuram on the wall just opposite to this hole. See it to believe it.